Living in Edinburgh, there are so many things to see and do, and so many hidden gems around the city which, unless you’d lived here a couple of years, you would never have known existed. I’ve lived here for three and a half years and I’m still discovering new places! This series will encompass everything, from vintage clothing stores to favourite restaurants, art galleries to cocktail bars, and everything in-between. I want to give you guys an idea of what it’s like to live in Edinburgh and show what this beautiful historic city has to offer. In the first of this series I took a trip to Armstrongs Vintage Emporium, a well-known vintage clothing establishment in Edinburgh, and where I spend most of my Saturdays. They describe themselves as “a cornucopia of vintage and retro delights” which sums them up in a nutshell. Walking into any one of the three stores across the city is like stepping into a treasure trove of vintage gems. Whatever you’re looking for, you can almost guarantee they’ll have it. Racks of fur coats and tweed jackets, rails upon rails of feather boas and ripped denim shorts, stacks of shoes, sunglasses, wigs and hats, and walls covered with dresses from every decade. I visited the store on Clerk Street and spoke to Veronica, one of the shop assistants, who shared her views on Vintage fashion and why she thinks the Armstrongs aesthetic is invaluable. So how long have you worked at Armstrongs? Since September last year, but I also worked here a few years ago. What do you do outside of Armstrongs? I’m a painter. Most of the people who work here are creative types, either studying or working in film, art, or fashion. What would you say is the best thing about working at Armstrongs? It’s such a melting pot of ideas and every day is different to the next. Our customers are unique and individual in their style and, because we offer such a varied mix of vintage and modern pieces, we attract such a mix of interesting people. Why do you think it’s important to have independent clothes stores as an alternative to high street chains? Selling vintage pieces means that our business is economical and more focused on recycling valued and original items, rather than mass producing new pieces. I think that a lot of vintage fashions influence new trends and encourage independent thought; fashion doesn’t end with what the high street stores have to offer. Our customers are willing to be different and have fun in what they wear, and don’t consider the latest trends to be a uniform that they have to adhere to. To them, fashion is a means of self-expression. Who would you say is your fashion icon? I’ve always been inspired by the well-tailored classic silhouettes of 50’s fashion and the likes of Katharine Hepburn. 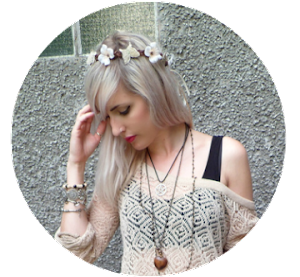 I would describe my style as Slouchy 50’s! Thank you so much for speaking to me Veronica and allowing me to photo all of the lovely Armstrongs garms. 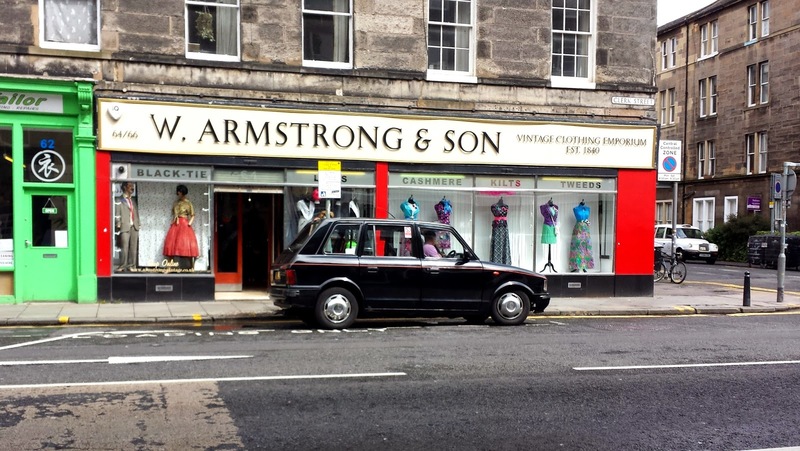 If you want to visit one of the Armstrongs stores and experience the wonder for yourself, you can find all their information on the Armstrongs Vintage Emporium website here. What are your thoughts on Vintage fashion? Do you have a favourite Vintage hangout near you?